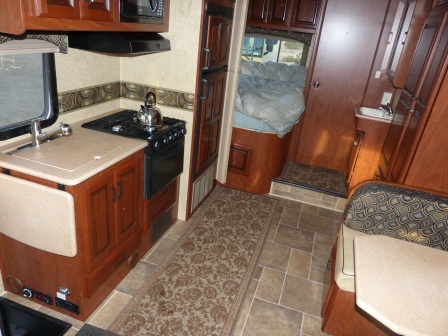 We purchased our Solera from RV Direct’s dealership in Des Moines, Iowa. Why so far away? 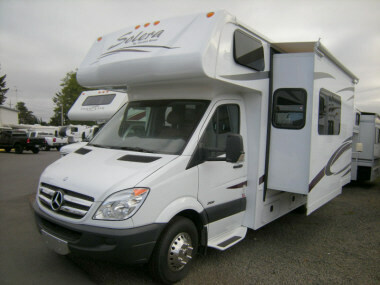 There are no Forest River dealers in British Columbia that sell this model. 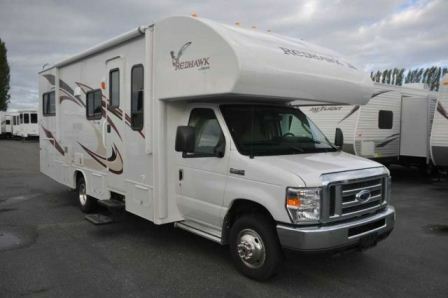 In fact, there is only dealer in Canada (in Laval, Quebec) that sells them, and they buy them at RV Direct, import them just as we did, and mark up the price for re-sale. 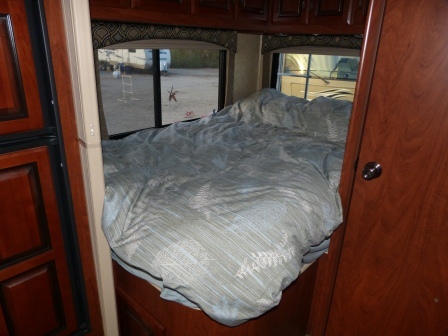 After viewing their inventory, including pictures and the Manufacturer’s Suggested Retail Price sheet online, I received a quote for our Solera from RV Direct in under an hour. The price was 30% less than the MSRP. 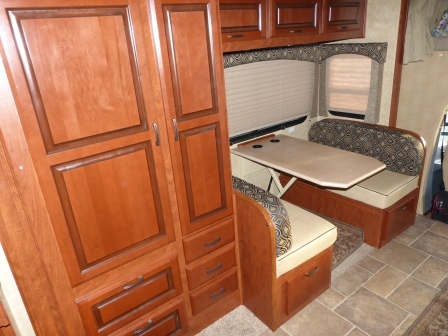 Unlike cars, RVs have high markups and can be purchased at significant discounts, typically 20% and as much as 40% off for clearance models. 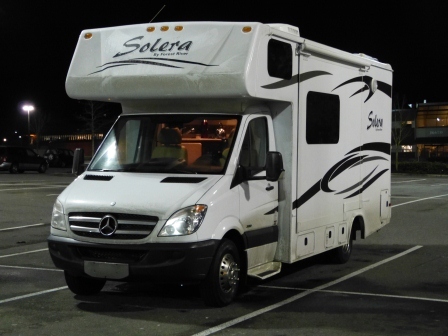 I spent a couple of days finding all the dealers on the west coast of the U.S. with Soleras in inventory to try and get a price close to what I’d been offered by RV Direct. 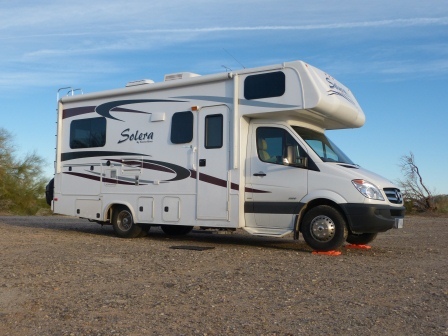 There were 11 Soleras available in Washington, Oregon, and California, and all were priced considerably higher. As I expected, part of the difference was the cost of delivery to the west coast. 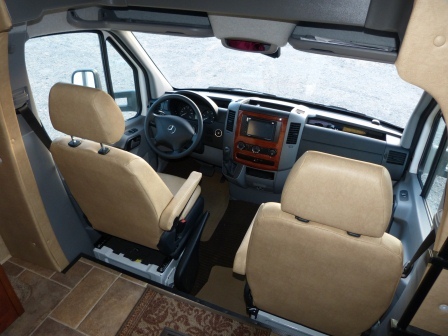 New American motorhomes aren’t shipped from the mid-west (typically Indiana) where they are manufactured, but driven, typically adding about 2200 miles and $3500 (roughly $1.75 per mile) to their cost. I was prepared to pay this, but not the thousands of additional dollars that these dealers wanted in profit for the same product. Driving an RV across the prairies in the middle of winter can be risky (weather delay, rock and salt damage, accident) and since the mileage for the warranty begins when you leave the dealership, it also meant that we’d be putting 2000 miles against our 1 year, 12,000 mile limited warranty before we even got the vehicle home. But the savings by buying in the mid-west were so significant, that I just couldn’t justify doing otherwise. And so it was that early on the morning of December 27th, Diane and my friend Lee drove me to to Vancouver International Airport. I flew first to Minneapolis/St. Paul where my connecting flight was delayed by a few hours. I had just missed a blizzard that had hammered the mid-west just after Christmas and had shut-down the airports. When I finally boarded the flight to Des Moines, most of the people on my plane had been waiting in the airport or nearby hotels for 2 days! I caught the shuttle to a cheap hotel nearby and, since it was late, ordered some pasta to be delivered from a nearby restaurant. The next day I caught a taxi to the dealer’s service area, a difficult-to-find garage behind a warehouse north of town in an industrial area. Our Solera was indoors in a building which had a faint sewer odour (literally ‘eau de toilette’). 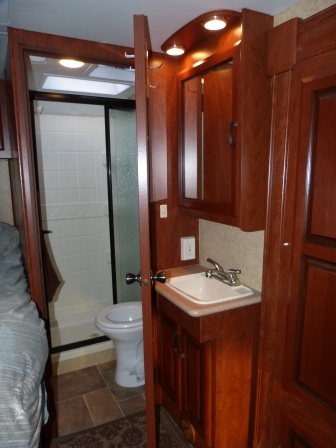 The dealer had prepped the motorhome by de-winterizing it, filling it with fuel, water, and propane, and testing all the essential functions. 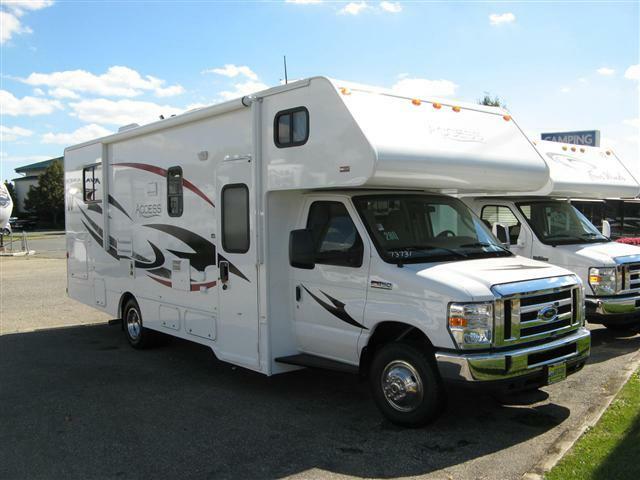 The pre-delivery inspection is critical when buying a new or used RV. 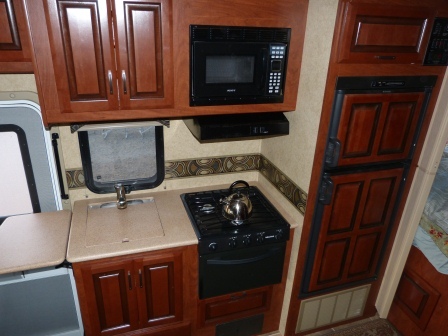 The technician should walk you through all the features and functions of the RV to demonstrate that they’re working and to orient and educate. Because this would be my only chance to identify any issues before driving the vehicle very far away, probably never to return to this dealer, I was prepared. I had my own 295 item checklist ready, which I had compiled from similar lists I had found on the Internet (prepared by other detail-oriented buyers). 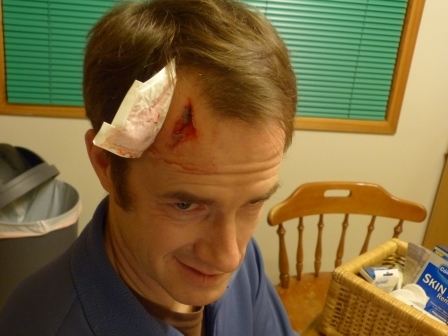 The technician was good. He ran through the key things with me and then left me to do my thing. My appointment began at 1 PM and around 4 PM he needed to start re-winterizing the coach, which he allowed me to watch and explained while I took notes. Hopefully I’ll be able to do it myself next time. 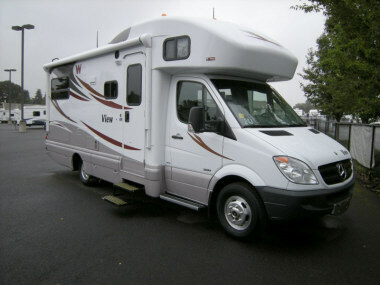 The service department closed at 5 PM and, even though I hadn’t finished all my checks, at around 5:30 I signed the Forest River warranty document that says that I accept the motorhome. This document also says that after this point Forest River and the dealer are no longer responsible for any damage. So it is very important to identify any scratches, dents, or other damage on the initial inspection and have them noted on the warranty form, perhaps even more so than manufacturing flaws or mechanical issues which can be identified and addressed under warranty later. 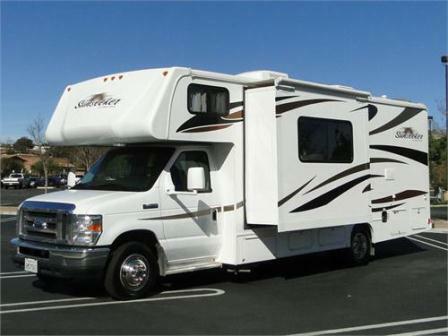 This entry was posted in General, North America, Travel and tagged check, checklist, dealer, Des Moines, Forest River, inspection, Iowa, motorhome, pre-delivery, Purchase, RV, RV Direct, rvdirect.com, Solera on February 6, 2013 by dreambigliveboldly.